We’re going to be taking you through the Brand Process one step at a time over the coming weeks so that you will know what to expect when you engage a brand designer. 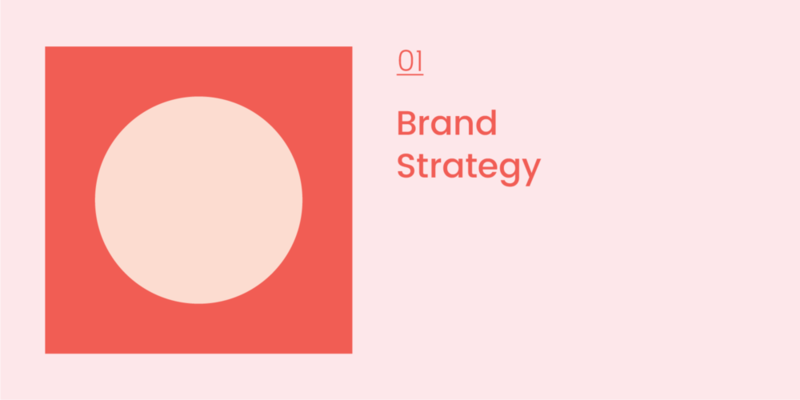 Today we focus on Stage 01: Brand Strategy, which is the discussion and information gathering stage. We get to know your business and help you to define exactly who you are and what you do. Why can’t I just get a logo? You might be able to design a logo or identity without going through the brand strategy process, but to give your brand the best chance at hitting the mark with your audience, you will want to pay close attention to this phase, as key to laying the foundation for any brand. While every studio works in a slightly different way, most follow the same general process. Here I’m giving you the inside knowledge on how Collectus works through our strategy process. Even though you might want to get straight into the exciting bits of looking at visuals and seeing your brand come to life, don’t skip this step! Just as with any good venture, it helps to have a bit of a plan in place. Starting with some research, or competitive analysis as its called, we would research your business and the businesses of your competitors. Together with researching some best practice examples that are either within your category or out of category as a way to show a really great way of how someone portrays their brand. Just like Nike or Apple might be great examples of businesses speaking to their niche. Depending on the size and shape of your business, the strategy stage may also include interviews with key staff or internal and external stakeholders to gain a more detailed understanding of how your business works. Your staff and external stakeholders such as suppliers may be able to help you to define what makes you different from the rest of the market. A strategy workshop is an important part of any branding project. It allows us to discuss your vision and work with you to define what your brand is all about. In the workshop, and follow up strategy document, we would work through the following key areas. Allowing you and your team to work through these key areas and discuss exactly what your brand stands for is integral to being clear on your brand. So following the workshop, we digest all this information and put together a brand strategy document, which summarises what your brand is and where it is going. What you get in the end is a really solid foundation for creating a well-rounded creative brief – so then you can get into the fun, visual stuff – and a genuine understanding of your business including who you are, what you do and why you do it. Which is the key to getting any brand identity creative on the right track and resonating with your audience. More on Stage 02 and getting the brand identity creative started in the next post. If you have any questions or want to chat about your brand, get in touch with us here. We would love to hear from you.